Today Gladiathers.com recognizes an athlete from the lesser-celebrated field of horse racing. On this day in 1969 pioneer Barbara Jo Rubin became the first female to ever win at the Aqueduct Park racetrack in Queens, NY. 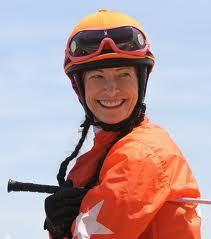 Barbara Jo battled polio and sexism in her fight to become a successful jockey. For her courage and success Gladiathers.com salutes Barbara Jo Rubin! Read more about her here.